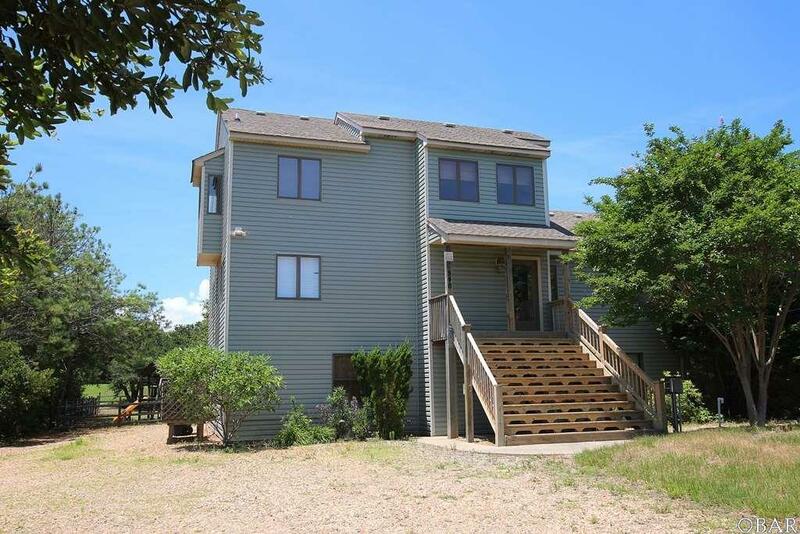 7 Bedrooms and a pool for under $500K in Corolla! 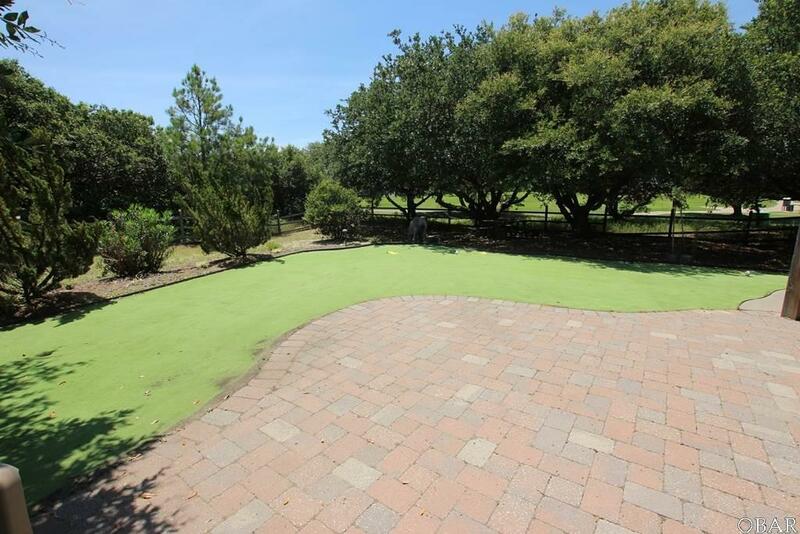 The VERY private back yard overlooks the golf course with beautiful pool, tiki hut, putting green, play area and hot tub. 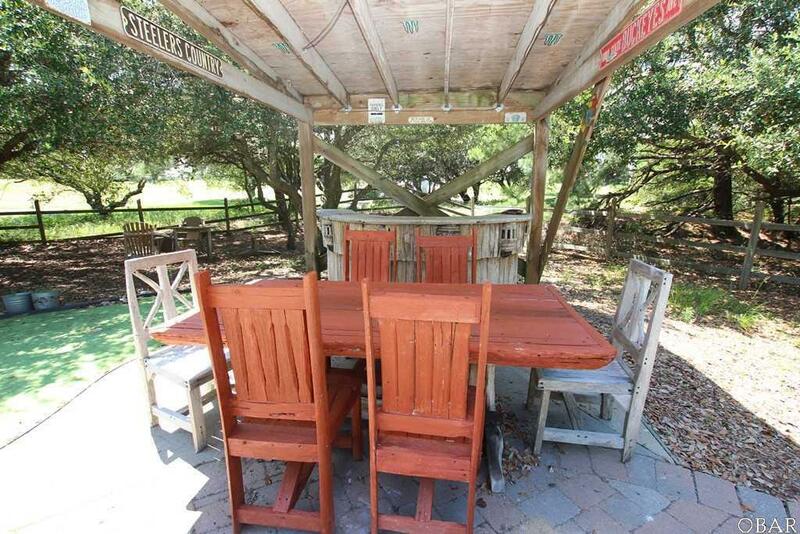 The property sits way back off off the road and is convenient to 2 beach accesses. The lower level is a fantastic game room with 2 bedrooms. This is an X flood zone!. Rents could be much higher. Owner has blocked out a number of prime weeks for personal use. 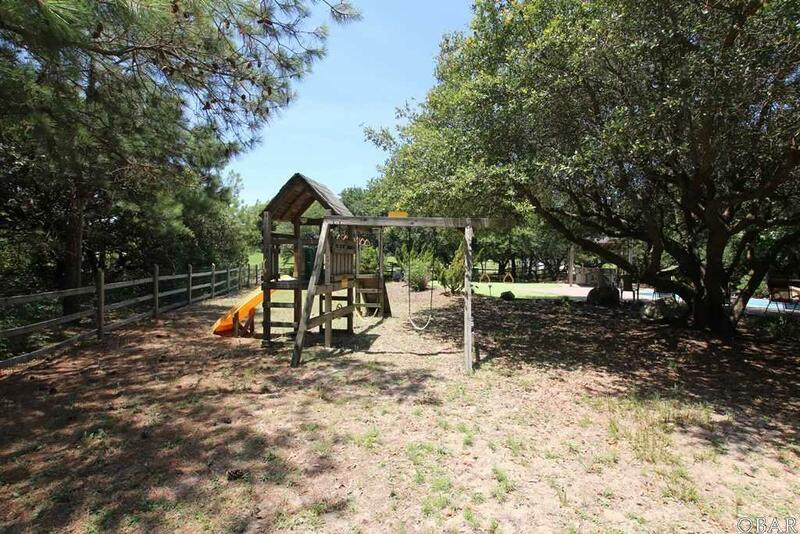 Owner will consider holding a first trust on a case by case basis.